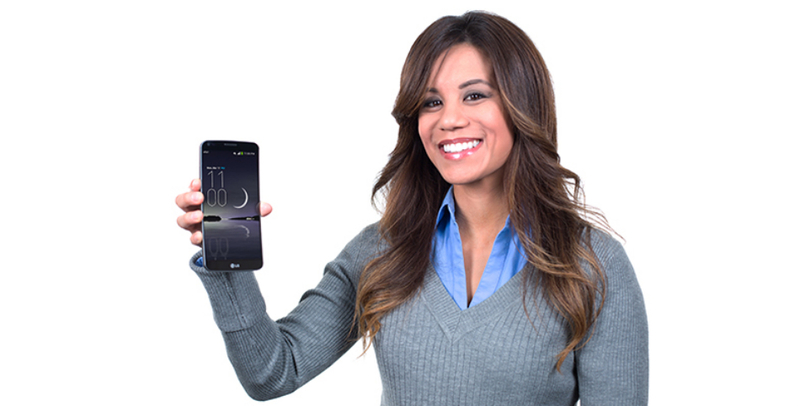 It’s January 24, which means AT&T’s pre-orders for the LG G Flex are now live online. The device is priced at $299.99 on a new two year agreement, $694.99 off contract, or just $34.75 per month for 20 months with AT&T Next. The internals for the G Flex would seemingly warrant such a high subsidiary, but don’t forget, the device’s 6.0″ curved P-OLED display is not Full HD. We had a hands-on with the G Flex at CES, and while it is a gorgeous device, pixels are quite visible from certain viewing angles. While seeing pixels may not be a deal breaker for a few of you, we still wanted to give a friendly heads up. The G Flex rocks a Snapdragon 800 quad-core processor, 2GB of RAM, a 3,500mAh battery, 4G LTE connectivity, comes running Android 4.2, a 13MP rear-facing camera, 2.1MP front-facing camera, LG’s proprietary self healing backside, LG’s unique backside button layout, and plenty of special software to take advantage of the device’s size and power. Ready to pre-order? Do so right here through AT&T.